Grease duct models GDP, GDPL,GDPL2F and GDPL4F are suitable for use in installations using exhaust system components for the removal of smoke and grease laden vapors in commercial, industrial, institutional and similar type applications. 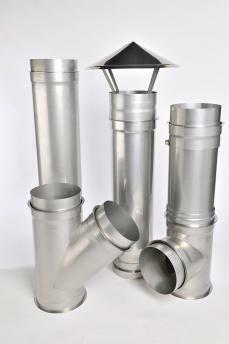 Models GDP, GDPL,GDPL2F and GDPL4F grease ducts are intended for use as complete systems. GDP, GDPL, GDPL2F and GDPL4F grease ducts are suitable for continous operation at temperatures not exceeding 500°F (260°C).